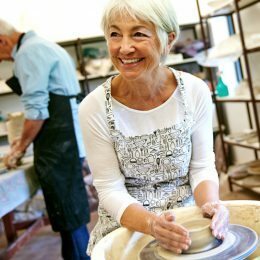 SilverSneakers member Kathleen Mitchell knows: If you keep an open mind, inspiration will find you. Most people try to keep a low profile at the gym: get in, work out, and get out. Not 74-year-old Kathleen Mitchell. Book an early morning sweat session at VASA Fitness in Denver, and you’ll catch Kathleen ripping squats and deadlifts dressed in—how do we put this?—unconventional fitness apparel. She’ll be the one rocking red leather pants, Vibram FiveFingers shoes, and a vintage headscarf. And that’s just on Tuesdays. Kathleen isn’t spearheading some new kind of athleisure fashion movement; she’s simply being herself. If for some reason VASA members don’t know Kathleen for her head-turning attire, then they definitely know her as one-half of the gym’s most surprising dynamic duo. Kathleen and Debbie—family friends for 15 years, workout buddies for a few months—push each other to go harder, faster, and stronger every day, in and out of the weight room. “We both teach each other so much,” Debbie says. Kathleen never expected to forge such an important fitness relationship at this age, at this stage. But then again, she was never much for expectations in the first place, preferring instead to follow her muses wherever they took her. 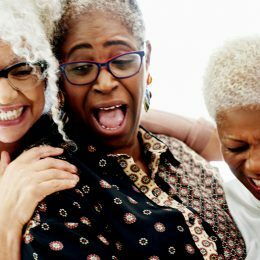 Here’s how “the 74-year-old spitfire,” as Debbie calls her, ended up transforming her health—and how you can too. Ask Kathleen what she used to do for a living, and she’ll tell you about her list. “I wrote all my jobs down somewhere, and I wish I had that piece of paper now,” she says. Not content to stick with one career for life, Kathleen has tried on practically every profession for size, or at least enough to warrant keeping a record of them so she won’t forget. She’s been a flight attendant, a dress buyer, and a real estate agent. Now she dabbles as a silversmith. She’s lived everywhere from New York to Niagara Falls, but her journey to a better body, mind, and soul began somewhere in Arizona, sometime before the turn of the century. Back then, Kathleen fled to the Southwest to escape a toxic relationship she had ended in Niagara. She was already divorced from her first husband and the father of her only son, Zac, and now she was cutting ties with a man who drove her to an unhealthy romantic obsession. She sought solace 2,000 miles away—but the Arizona splendor just made her sadder. That meant eating better, exercising without going overboard, and finding a new job—“one where I could do something healthy,” Kathleen says—in a new state. That’s how she ended up at the Florida College of Natural Health (now Cortiva Institute), where she studied massage therapy, practiced the trade, and rebooted her lifestyle in the Sunshine State. Then it was time for another change of pace. In 2006, Kathleen moved to Denver at her son’s suggestion. That’s where her ex-husband lived, and they remained great friends. (The exes are so chummy, in fact, that they share a house together; she’s been caring for him while he recovers from prostate cancer.) She took up work in a salon downtown and enjoyed the latest stop in her life for the next 12 years. Still, something was missing—she just didn’t know what. Like clockwork, that’s when Debbie came to Denver. Debbie had met Kathleen’s son, Zac, more than two decades ago. The two hit it off while studying abroad in Europe and became fast friends. It was Zac who convinced Debbie to move to New York City to launch her career in media. Zac, meanwhile, ended up in Los Angeles as a set designer. Whenever Debbie would travel to Denver, she’d make it a point to meet up with her best pal’s mom. And when she found herself with an unexpected stretch of free time earlier this year, she left New York and crashed in Kathleen’s basement. Kathleen confided in her new roomie that she’d been in something of a fitness slump. While she still occasionally exercised, she lacked motivation to make it to the gym on a regular basis. 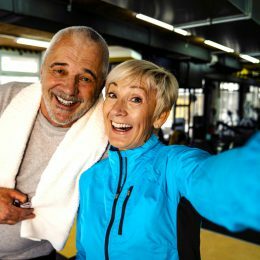 Now that Debbie—a weekend warrior and longtime fitness magazine and book editor—was in town, Kathleen wanted a knowledgeable, willing workout partner who could keep her accountable. Debbie was more than happy to oblige. Turns out she was in the midst of a big career transition and had also let her fitness slide due to the stress. So Debbie set out to devise a joint workout plan that the two could tackle together. 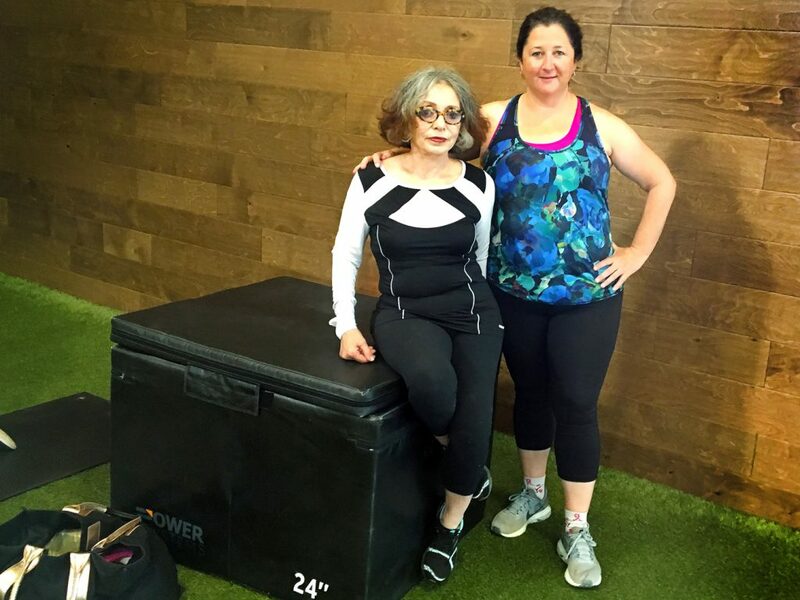 Ever since April, Debbie and Kathleen begin each gym day with a 20-minute cardio warmup, then complete circuits featuring all kinds of strength moves. 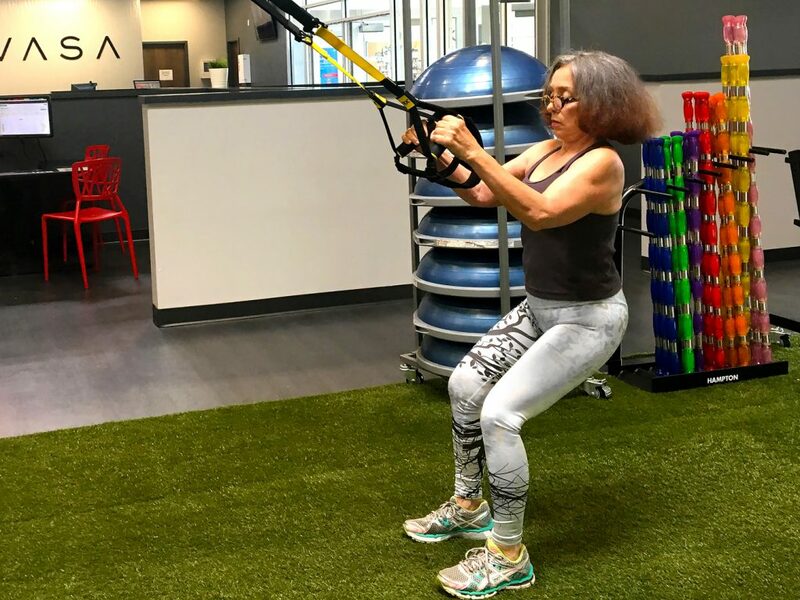 Debbie pays close attention to her partner’s predilections; when she noticed Kathleen enjoyed TRX equipment, for example, she began incorporating more bands into their workouts. Then they’ll wrap up with a 10-minute massage. “It’s our little reward,” Kathleen says. Debbie won’t live in Kathleen’s basement forever. She’s in the process of permanently moving to Denver and finding her own place. But both women expect their bond to grow even more powerful now that they’re in the same city. Want More Inspiring Stories—or Have One to Share? This 72-Year-Old SilverSneakers Member Just Rode Her Bike 3,200 Miles!